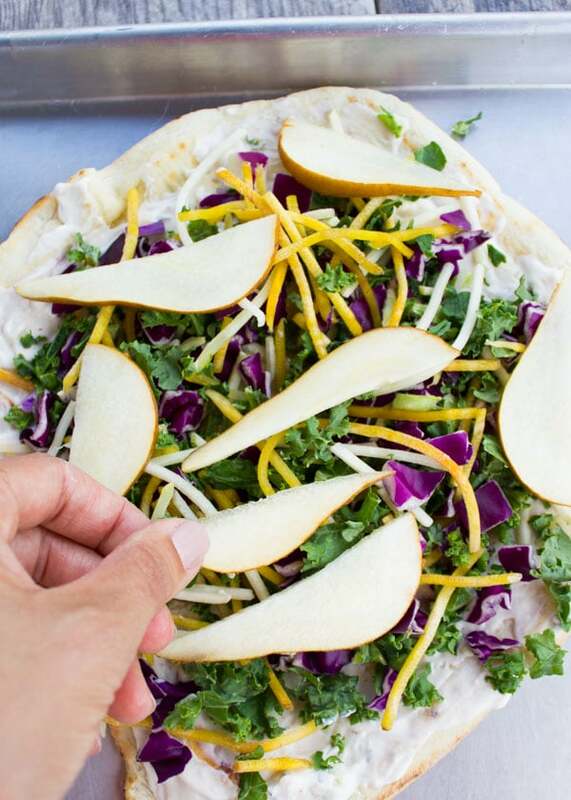 This Veggie Pizza On the Grill with Garlic Blue Cheese Sauce recipe is an easy way to add a gourmet twist to your everyday pizza. Have you guys ever made pizza on the grill? If yes, then you know how AMAZING it is! And if not, then I’ll be sharing with you how to make Grilled Pizza for the first time and ENJOY it all season long. Because frankly, a pizza on your bbq is something you can’t miss! I love to make this simple and easy recipe for Veggie Pizza On The Grill as opposed to something like the classic pepperoni pizza. While the concept is the same and technique too, I feel the grill is perfect for something different than the classics. 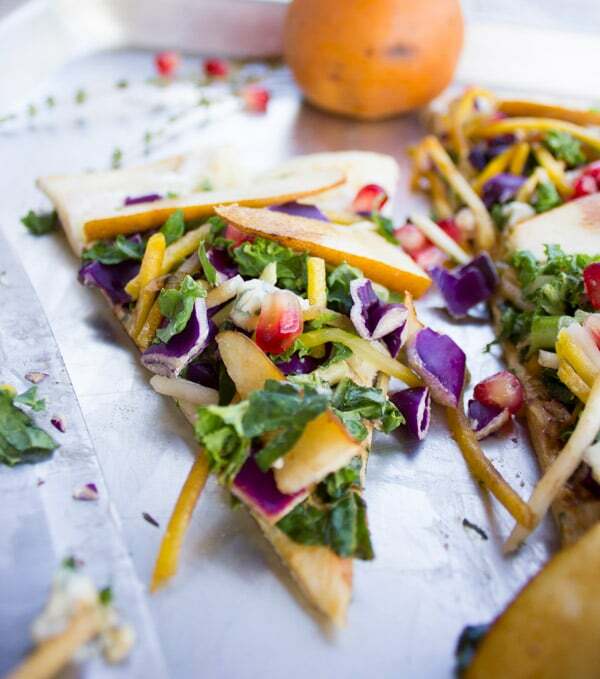 This Veggie Pizza On The Grill is utterly deliciously yet easy and simple to make. Picture a crispy pizza with a smoky flavor from the BBQ, topped with a creamy spicy Garlic Blue Cheese Sauce, and loaded with crisp veggies, blue cheese and a drizzle of balsamic vinegar. 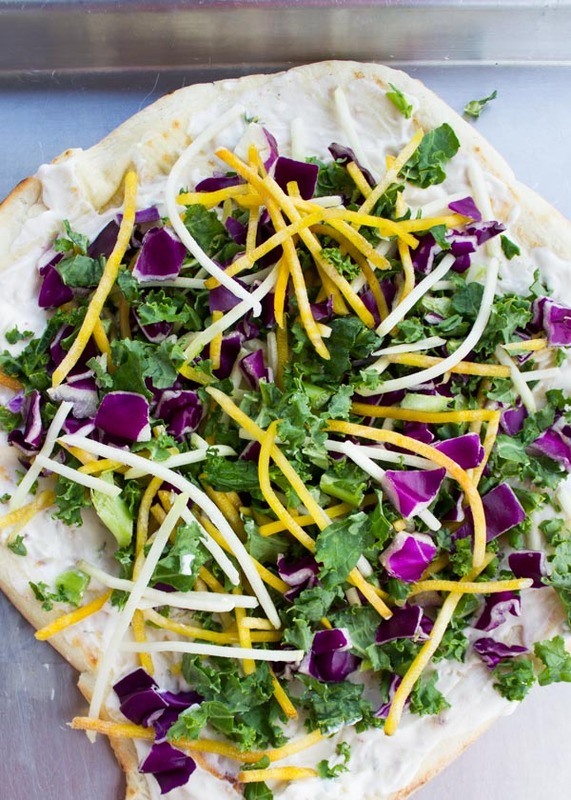 As toppings for my Veggie Pizza On The Grill, I chose a mix of kale, golden beet sticks, red cabbage, and kohlrabi. These veggies pair beautifully with my blue cheese sauce. 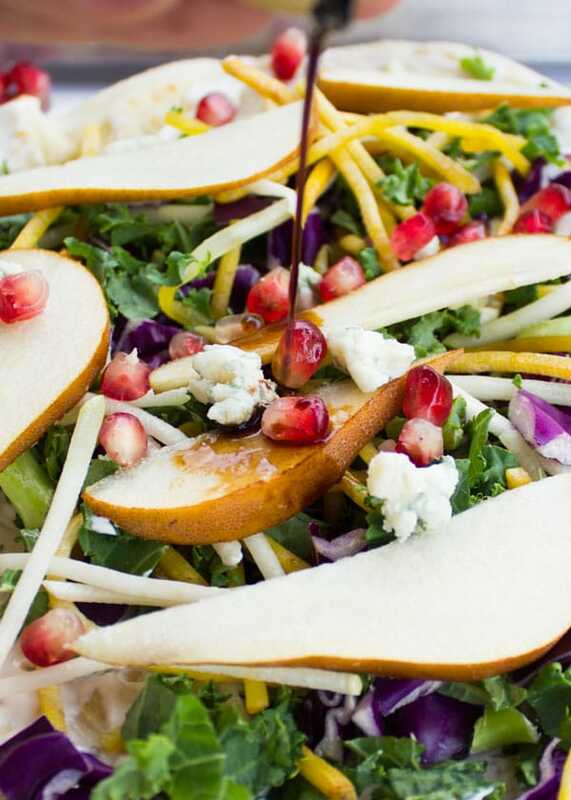 For a contrast of textures and sweetness, I added sliced pears. 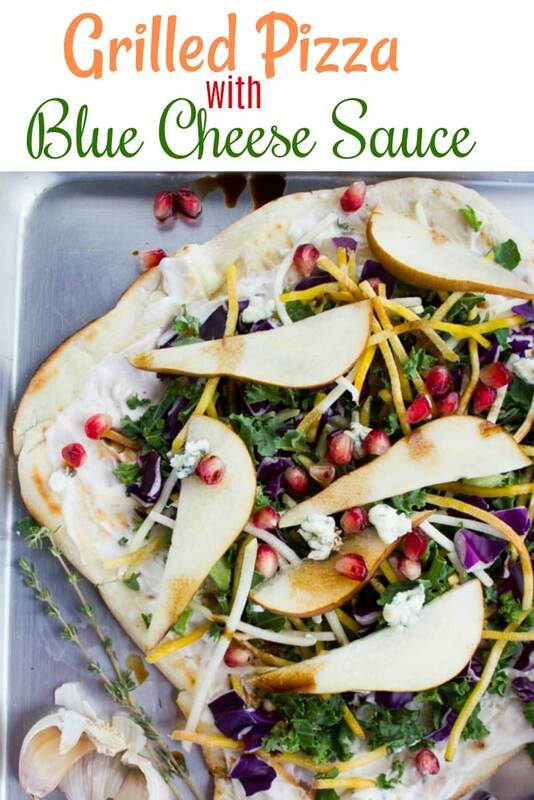 A match made in heaven for all blue cheese lovers! 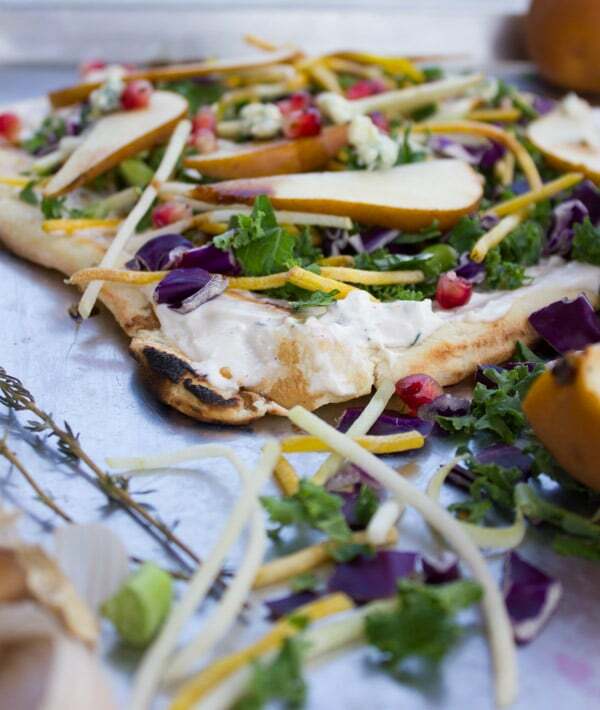 I shared this veggie pizza on the grill with my blue cheese loving friend and she DEVOURED it! Let us talk about the pizza dough for or Veggie Pizza On The Grill. You know I’m a from-scratch person so if you ask me I’ll say make this Best Pizza Dough or this No Knead Overnight Pizza Dough which is easier if you plan ahead of time. Also, while you’re checking out these recipes, be sure to scroll down and read the tips I shared for achieving your favorite crust perfection! However I will state for the record, you can buy your favorite ready-made pizza dough and it will work just as well! Prepare the pizza dough or use your favorite store-bought brand. Roll out the dough into a 9-inch circle/square on a lightly floured surface. Let the pizza dough rest for 20 minutes while you prepare the garlic blue cheese dip and preheat the grill. Preheat your grill to medium-high.Brush one side of the pizza dough with olive oil and place that brushed side on the grill. Cover the lid and let the pizza dough cook for 2 minutes. Now, brush the top side of the pizza dough and then flip the dough so the newly brushed side is now facing the flame. Cover the lid and let the pizza dough cook fully for another 2 minutes. 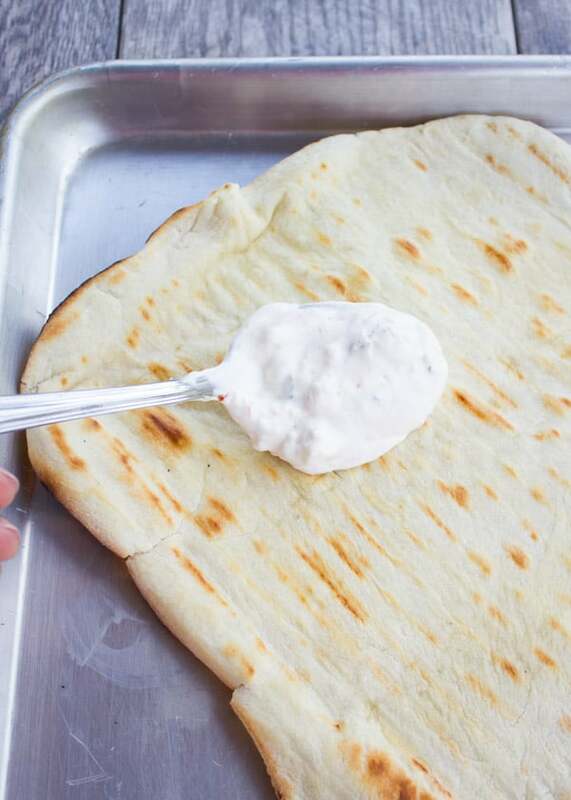 Remove the pizza dough from the grill, then spread a layer of the blue cheese dip on top of it. 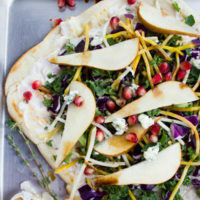 I love spreading a layer of this garlic blue cheese dip on my grilled pizza dough, top that with crispy kale beet blend, sweet sliced pears, pomegranate seeds, crumbles of blue cheese and a drizzle of balsamic vinegar. I start with the kale beet blend, then add some pear slices…..
…followed by crumbled blue cheese and pomegranate seeds! Looking for a perfect side dish? Try my Italian Strawberry Balsamic Broccoli Slaw. If you do not like blue cheese, use feta or goat cheese in this recipe. For the best Veggie Pizza On The Grill, use this Best Pizza Dough or this No Knead Overnight Pizza Dough. This Veggie Pizza On the Grill with Garlic Blue Cheese Sauce recipe is an easy way to add a gourmet twist to your everyday pizza. 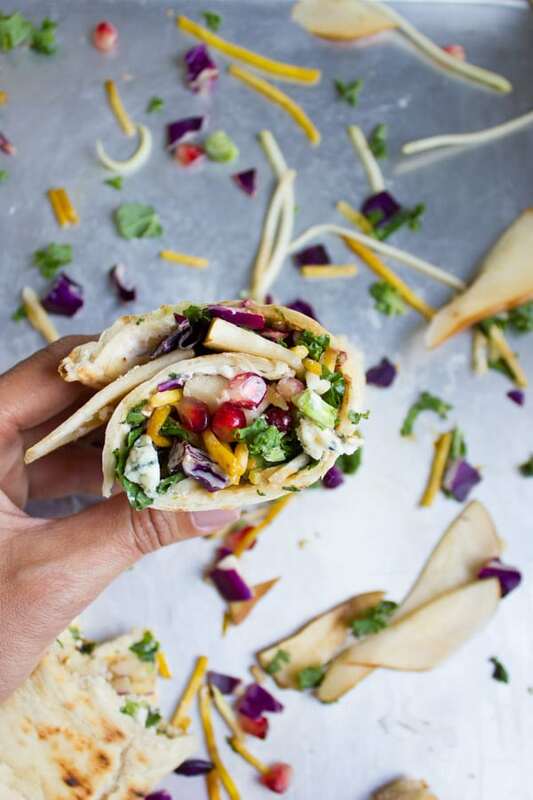 Picture a crispy pizza with a smoky flavor from the BBQ, topped with a creamy spicy Garlic Blue Cheese Sauce, and loaded with crisp veggies, blue cheese and a drizzle of balsamic vinegar. Prepare the pizza dough or use your favorite store-bought brand. Roll out the dough into a 9-inch circle/square on a lightly floured surface. Let the pizza dough rest for 20 minutes while you prepare the dip and preheat the grill. Make the Garlic Blue Cheese Dip using this recipe, and set aside. Brush one side of the pizza dough with olive oil and place that brushed side on the grill. Cover the lid and let the pizza dough cook for 2 minutes. Brush the top side of the pizza dough and then flip the dough so the newly brushed side in now facing the flame. 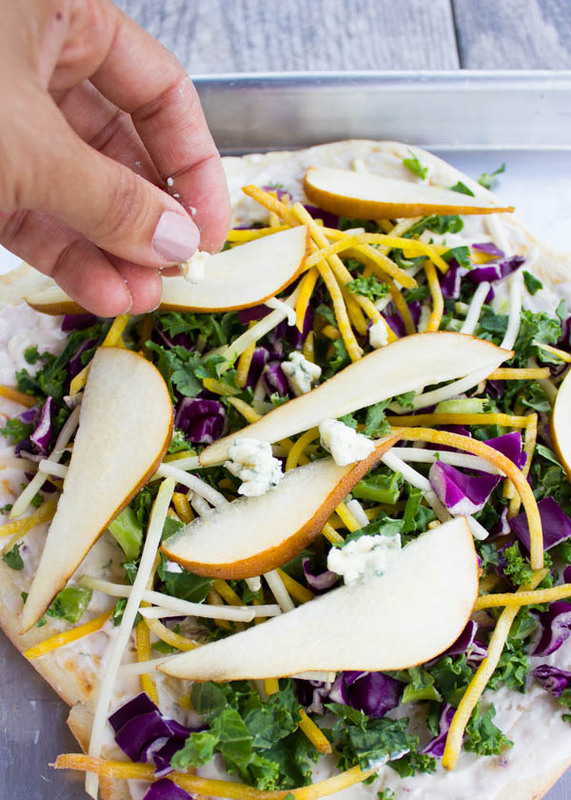 Remove the pizza dough from the grill and then spread a layer of the blue cheese dip, top that with the crunchy kale beet blend, some sweet sliced pears, crumbles of blue cheese and a drizzle of balsamic vinegar. I’ve never even thought to make pizza on the grill – but what a great idea! This version looks amazing so I will be saving it for barbecue season! Emmeline, you should try it! this is so great for grilling season! 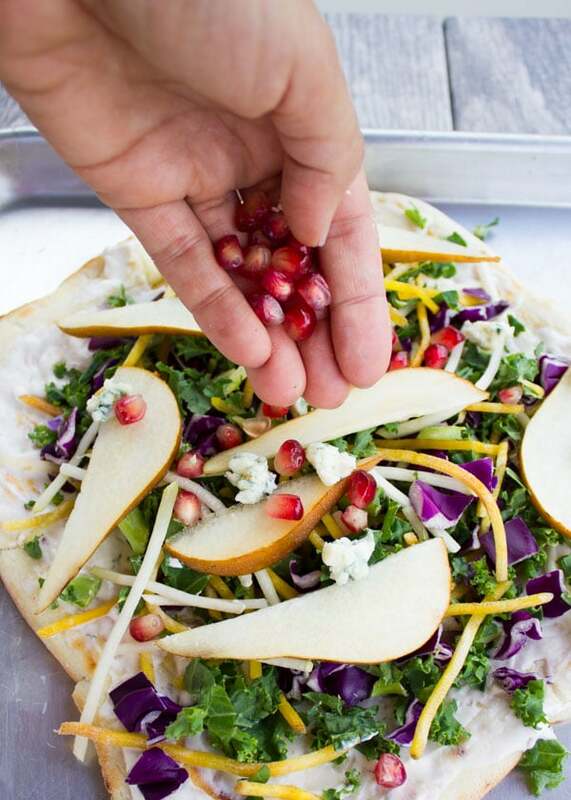 the blue cheese and the pomegranate seeds just make it perfection! what a great recipe! 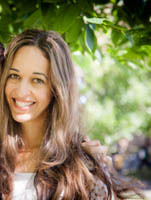 So true Danielle! Thanks so much! I love making pizza on the grill and your is so beautiful! There is so much color, and I love the combo of blue cheese and pear! I can’t wait to try this recipe! Thanks so much! I love grilled pizza! What a perfect share for the upcoming grilling season. I don’t own a grill but have tasted the grilled pizza at my friends place and love it. The pizza is so colorful and is a feast to the eyes! Pizza is really a hard recipe to suprise with because it’s been around for so long! 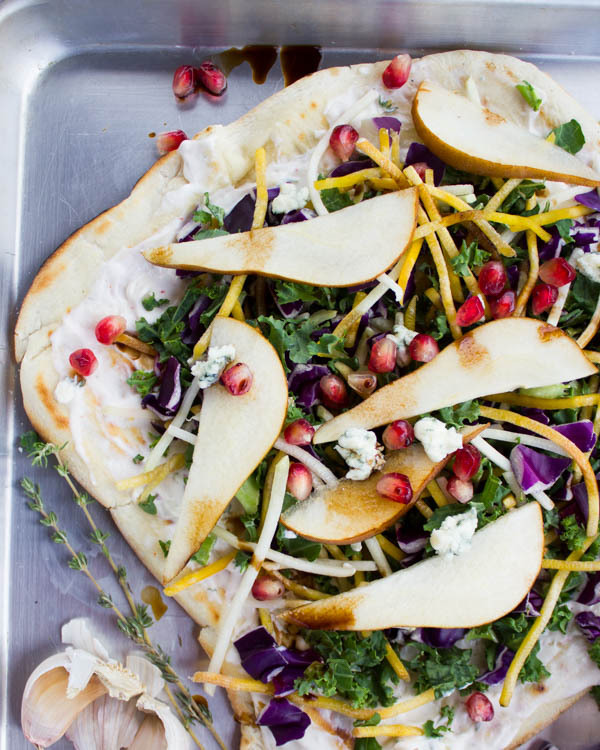 But this veggie pizza on the grill is something special! Definitely the recipe I am really excited about! It’s another level of pizza April, hope you try it!